Loan processors, lenders, title companies, escrow officers, mortgage brokers, Real Estate agents, Inspectors, appraisers, loan consultants, attorneys, settlement companies, escrow companies, Realtors, so many people involved in the mortgage Industry and so few people that would like to provide fraud information. Now there is a government site that protect your identity. Many Notary Signing Agents and other professionals in the mortgage industry are reluctant to report mortgage-related fraud practices in the workplace, fearing for their jobs. However, a federal agency is now actively encouraging whistleblowers with a new online site to report dishonest practices. As part of the nationwide effort to combat mortgage fraud, the Residential Mortgage-Backed Securities (RMBS) Working Group has launched a website where people can report incidents of fraud involving mortgage-based securities. The task force is actively encouraging whistleblowers to come forward and report misconduct or deceptive practices, which may help facilitate their ongoing investigations. The RMBS encourages insiders who have witnessed greed and gross misconduct to step forward, noting how critical their information is to ongoing investigations and stating that the RMBS will do everything possible to maintain their confidence and trust, while protecting their ability to speak out without fear of retaliation. Whistleblowers can use the website — www.stopfraud.gov — to file reports, expose fraud, and help law enforcement hold perpetrators accountable. "When whistleblowers summon the courage to come to us, we will do everything we can to maintain their confidence and trust," said Acting Associate Attorney General Tony West in a recent statement. Financial fraud takes many different shapes, and fraudsters wear many different masks. From mortgage scams that target the elderly, Ponzi schemes that shock the world, procurement fraud that steals money from our nation’s coffers, predatory lending that discriminates against vulnerable communities, securities fraud that undermines the trust and transparency of our markets, and the list goes on. But the American people have something on their side the fraudsters don’t: the force of the largest coalition of federal, state and local partners ever assembled to combat fraud. The Financial Fraud Enforcement Task Force’s mission is broad, because the problem is broad, and the task force is working tirelessly to combat these and future scams to protect the American people. Substantial financial rewards may be available if you provide specific information that leads to a monetary recovery by the government. Under the Dodd-Frank Wall Street Reform and Consumer Protection Act of 2010, the reward can amount to 10-30% of the government’s monetary recovery. For more detailed information, visit the SEC Office of the Whistleblower. Rewards also may be available in some circumstances under other statutes, such as the False Claims Act or the Financial Institutions Anti-Fraud Enforcement Act, which allow whistleblowers to report fraud to the United States Attorney General. 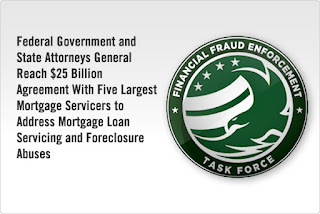 Know about other fraud, or need help with foreclosure? If you know of fraud that does not specifically relate to mortgage-backed securities, please visit ourReport Fraud page. If you are a homeowner who needs help with a foreclosure, HUD-approved housing counselors are available to assist with foreclosure prevention counseling services. You can find one by visiting the HUD website or calling HUD’s Housing Counseling and Referral Line at 1-800-569-4287. 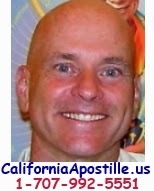 California Apostille - Online Marketing - SendOutCards - Traffic Exchanges - Free Classifieds - Blastomatic - Leadsomatic - Free Leads for Home based business - Gratutide in 30 days - Blogging made simple - Free Backlinks - Search Engine Leads - West Sacramento Notary - California Mobile Notary Network - VOIP Conference System - Free Website Monitoring System - Self-Replication web Directory. National Title Insurance and Settlement Services is one of the largest providers of title insurance, property valuations and settlement services in the nation. are you looking to work for a title company? Title Source is one of the largest providers of title insurance, property valuations and settlement services in the nation. We are a preferred provider to five of the top fifteen FORTUNE 100 companies and four of the top five residential mortgage lenders. In 1997, Title Source employed just 30 people and performed services in three southeast Michigan counties. Today, we employ more than 500 team members and provide coverage in excess of 3,000 counties throughout all 50 states. Title Source provides team members with a competitive benefits package that offers medical/dental/vision, enrollment in a 401k plan, a dependent scholarship program, tuition assistance and more. Team members also enjoy additional opportunities for incentives, contests and rewards including event tickets and cash prizes! So if you are looking for a career look at the available positions. Data through March 2012, released today by S&P Indices for its S&P/Case-Shiller Home Price Indices, the leading measure of U.S. home prices, showed that all three headline composites ended the first quarter of 2012 at new post-crisis lows. NNA does a good job at explaining the functions of a Notary in the USA and other Spanish speaking countries: in Hispanic countries, Notarios Publicos are highly trained legal professionals akin to attorneys who provide legal advice and draft legal documents. In the United States, however, Notaries are state-commissioned officials with narrow witnessing duties and much less discretion. Many unethical individuals exploit the confusion over these different roles to take advantage of unsuspecting immigrants. For four decades, the National Notary Association has worked to educate Notaries, government officials and the general public about Notario abuse. One of the most important resources is a booklet entitled “What Is A Notary Public”, which explains in English and Spanish the lawful role of U.S. Notaries and how it differs from that of Notarios. In June 2011, the federal government announced an unprecedented, multi-agency, nationwide initiative targeting immigration assistance scams and the unauthorized practice of law — often involving individuals falsely holding themselves out as Notarios Publicos. The NNA fully supports this initiative to combat abuses of consumers and immigrants. If you live in Los Angeles, or New York, learn Spanish. You will need it regularly. These days, Spanish-only speaking people are moving all throughout the United States, so we all need to learn at least some Spanish. If you only know a little bit, don't try to pass yourself off as bilingual. But, the notary needs to be able to communicate directly with the signer, and not through their daughter who was born in America and is fluent in English. When they call you to do the notary job, they will not tell you that the mother speaks no English, since their in-house interpreter is always there. You need to know phrases like, "Do you understand what this document means?". "Do you swear that the contents of this document are correct?". "Please sign here". "Do you have identification?" If you are a notary who speaks English and another language, you are considered bilingual. Some notaries speak many languages. The most common foreign language is Spanish, but there are many other popular languages. Bilingual notaries are a popular choice for lenders to hire if a signer or their family feels more comfortable with a particular language. Some signers don't understand English at all, and they absolutely have to have a bilingual notary signing agent. Some words of advice for new notaries as well as Spanish speakers trying to notarize their documents: If the signer doesn't speak English, don't use an interpreter. The notary is required by law to be able to communicate DIRECTLY with the signer. If the notary knows enough of the language to communicate enough to get the job done, thats fine. Don't allow relatives to interpret for you during your notary work. Its not legal. Alexa and your Home Business. Veretekk 2.0 is exploding! Beyond all of the tools and power of the system, it is the "power of people that really makes the difference!" Veretekk is The Social Network for Home-Based Business! A free account is not needed for the workshop. Why do you care about that? Because success in growing YOUR OWN home business can be greatly expanded by tapping into the knowledge and experience of other people who have already walked the same path. People just like you... who were struggling to get their businesses rolling, but figured out (or were taught) the various tips and tricks to make it all work. Being able to tap into this unque knowledge base offers you a HUGE value - with no cost at all to do so! Accordingly, I will be holding 2 online marketing workshops this Saturday, June 9, 2012. Understanding how it really works. I've also been invited to present at another event, which is being hosted by the new "Veretekk Business Opportunity" group. As always, Veretekk is all about helping you promote your own business, but for those without one (or those looking to increase revenue through alternate means), this will be a great event. Both events can be found on the Calendar in your system Dashboard. Try to show up a few minutes early... and be ready to learn! These will be exciting events to help you focus your efforts and produce bigger results then ever before. To attend the workshop, go here scroll down to the bottom of the page to get to the calendar and then Scroll down to the "10:00 AM - Thomas Prendergast Exactly how Alexa Works" and Login there. alexa, home business, veretekk, workshop, training, ranking, seo, home business, business opportunity, home based business, veretekk opportunity, sergio musetti, online marketing, network marketing, portal marketing, social media marketing. United States Apostille Service. California. Spanish. Notary. West Sacramento Mobile Notary Public, USA United States California Secretary of State Apostille Service, yolo county, sacramento county, linkedin, veretekk, yelp, activerain, loan signing, notary cafe, notary rotary, 123notary,National Notary Association, Signing Agents, Spanish notaries, language translation, solano county, El Dorado County, Davis, Dixon, Arden Arcade, midtown, espanol, apostilla, apostillado, apostillar, apostillando, notariar, certificar, autenticar, documentos apostillados. ¿Cómo legalizar y convalidar títulos? An Apostille is a certificate that authenticates the origin of a public documents, certificates like marriage, divorce, birth, death, a judgment, an extract of a register or a notarial attestation. Apostilles can only be issued for documents issued in one country party to the Apostille Convention and that are to be used in another country which is also a party to the Convention.